New Delhi [India], Apr 09 (ANI): Home Minister Rajnath Singh on Tuesday said that India conducted action on the Pakistan-based terror training camp in Balakot on February 26 with utmost caution and responsibility to ensure only terrorists were impacted and no civilian was harmed. Mandi (Himachal Pradesh) [India] Nov. 1 (ANI): Union Home Minister Rajnath Singh on Wednesday launched attack on Himachal Pradesh Chief Minister Virbhadra Singh over corruption charges against him. New Delhi [India], Jul 13 (ANI): Union Home Minister Rajnath Singh and External Affairs Minister Sushma Swaraj will jointly brief an all party meeting tomorrow on the ongoing India-China border standoff. 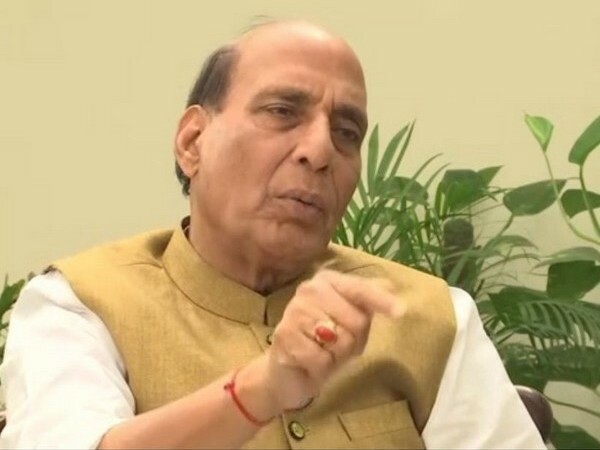 New Delhi [India] July 6 (ANI): Union Home Minister Rajnath Singh on Thursday chaired a high-level meeting to review the security scenario in Jammu and Kashmir ahead of slain Hizbul Mujahideen (HM) commander Burhan Wani's first death anniversary on Saturday. Lucknow (Uttar Pradesh) [India], Feb. 19 (ANI): Asserting confidence over marking victory in the Uttar Pradesh Assembly elections, Union Home Minister Rajnath Singh on Sunday said the Bharatiya Janata Party (BJP) will form the government with absolute majority.